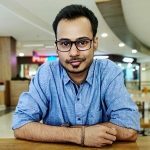 The Gionee W909 has been spotted on GeekBench’s website. 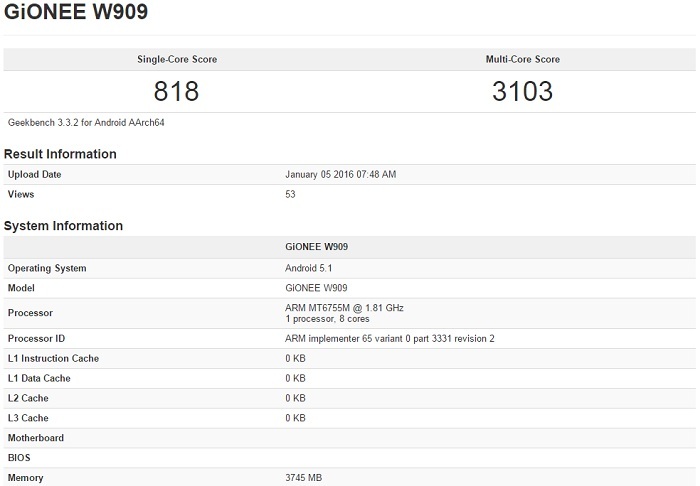 Going by the specs provided on GeekBench’s website, the Gionee W909 looks one beast. Powering this smartphone is a 1.81GHz Helio P10 MT6755M octa-core processor. Accompanying the P10 is a 4GB RAM which surely will be useful for heavy multi-tasking. The Mali-T860 GPU will be powering the graphics on the W909. The W909 that ran the benchmarks is running on Android 5.1 Lollipop, but, by the time this device is launched, we can expect it to be running on Android 6.0 Marshmallow. As can be seen on the website, the W909 scored 818 in single-core tests and 3103 in multi-core tests. As of now, there aren’t much details available regarding the Gionee W909, but we can expect the company to make some official announcements soon as the device has now been spotted on the benchmarking site. Are you excited about this smartphone?